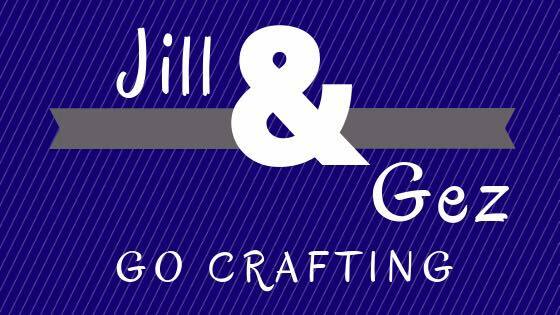 Thank you for joining me today for my regular "Jill and Gez Go Crafting" post, where I showcase three great projects made by my crafty friend Gez Carpenter aka Nigezza. Just in case you are new to my blog let me introduce Gez. She has an amazing blog on which she publishes new projects several times a week, with really detailed written instructions and video tutorials. I am sure you will want to check it out HERE. And this is the link to her YouTube channel where she posts fab tutorials much more regularly than me! So here we go, onto the three projects I have chosen for today - and oh my, I was spoilt for choice! Gez has been amazingly busy over the past two weeks! First off today I have picked this colourful set of cards. 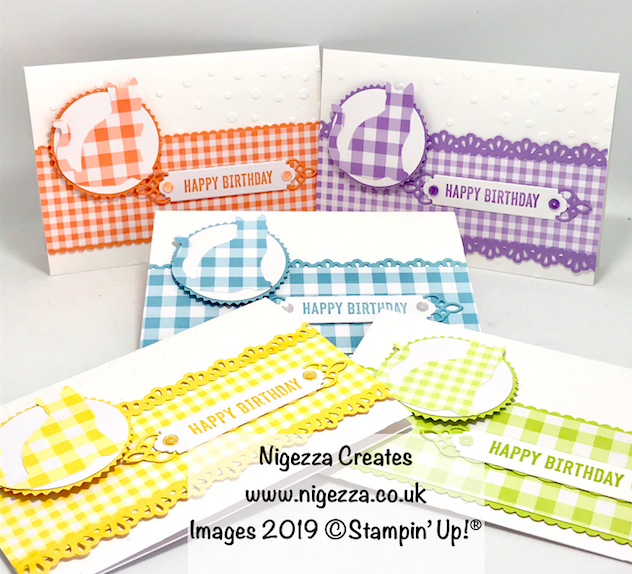 The good news is that Gez is offering a card kit so that you can make your own versions of these cards. You can read all about it HERE. Next today is this cute little photo cube. 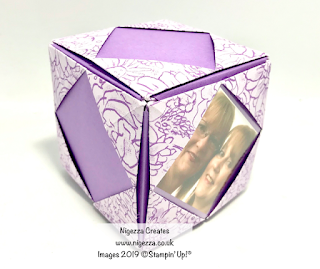 It looks so complicated to make but you'll find it really simple if you follow Gez's instructions and tutorial - just click HERE. And I think I may just have left the best til last - look at these fabulous butterfly cards. Gez has taken this gorgeous black and white patterned paper and used her Stampin Blends to colour the butterflies. And the way she has outlined them in grey makes them pop off the cards - just beautiful. Read all about how she made these cards HERE. So hope you like these projects as much as me! Do pop over to Gez's blog and YouTube channel to see all of her other projects - She is trying to reach 2000 YouTube subscribers by April 12th and you could help!